Trace Johnsonis an adventurous musician and teacher from Madison, WI. Mr. Johnson has served as string instructor, group class leader, and private teacher in a variety of settings in Cleveland, Ohio and South Florida since his undergraduate days. In 2014-15, Mr. Johnson worked as the primary cello instructor at the Palm Beach Suzuki School of Music in West Palm Beach and in 2017, after taking a two-year leave, returned to his former position at PBSSM. Mr. Johnson attained Suzuki Book I Pedagogy Certification in Chicago, Illinois, with Dr. Tanya Carey in 2015. Mr. Johnson has taught at the Plumosa School of the Arts, U.B. Kinsey Elementary School, and North Broward Preparatory School since his move to Florida in 2014. In addition to being a devoted teacher, Trace is an avid performer. Johnson won first prize in the 2014 Lyric Chamber Society of New York’s Chamber Competition, 2014 Lynn Conservatory Concerto Competition, and was a 2015 scholarship recipient from the National Society of Arts & Letters South Florida Chapter. Johnson performed classical, cross-over, and improvised music with the contemporary string octet,Barrage 8,for their 2015-16 season throughout North America, Canada, Germany, Belgium and the Netherlands (www.barrage8.com). Son of legendary jazz bassist, Marc Johnson, Trace has had an affinity for alternative playing styles, improvisation, and composition from an early age. For the past two summers, Trace has appeared in both orchestral and chamber ensembles as an orchestral fellow with the Atlantic Music Festival and Eastern Music Festival. At AMF and EMF, Trace collaborated with composers George Tsontakis, Donald Crockett, and Ken Ueno, and shared the stage with eminent artists Nadja Salerno-Sonnenberg, Midori, and Anne Akiko Meyers. In April 2017, Johnson was appointed to the cello section at the Southwest Florida Symphony Orchestra; Trace also actively performs with the Palm Beach Opera, Florida Grand Opera, Nu Deco Ensemble, Symphony of the Americas, South Florida Symphony Orchestra, Boca Symphonia, and other orchestral and chamber ensembles. In June 2017, Mr. Johnson performed with the Bach Dancing and Dynamite Society in Madison, WI as a member of their ‘Dynamite Factory’ Young Artist Program (http://bachdancing.org/) and in 2018 will return again as regular performing artist. 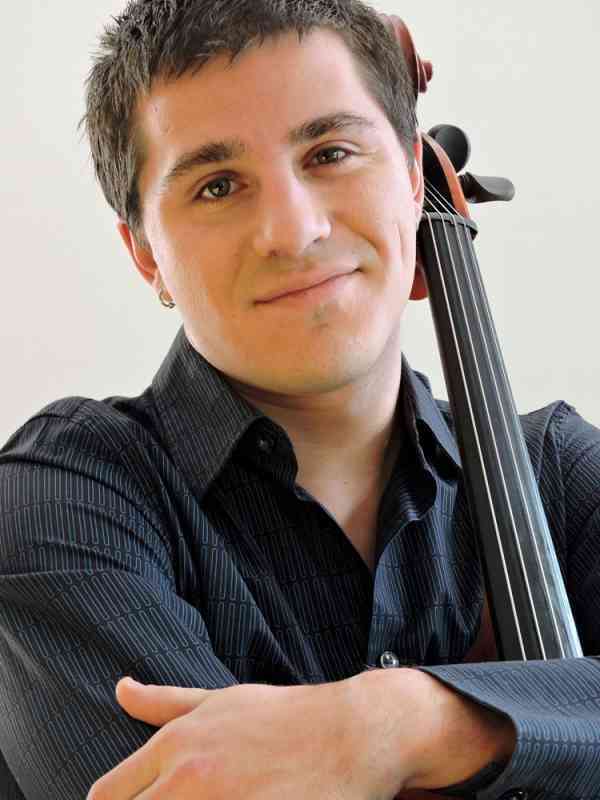 Trace Johnson is a classically trained cellist that works in a variety of musical mediums. In addition to being a seasoned orchestral player, Mr. Johnson enjoys playing chamber music and collaborating with small ensembles of all kinds. Mr. Johnson received his Bachelors Degree in Cello Performance from the Cleveland Institute of Music in 2012 and his Master’s of Music Degree at the Lynn Conservatory in 2016. Mr. Johnson has appeared as a soloist with the Lynn Philharmonia in Boca Raton, been recognized as a distinguished string scholar by the National Society of Arts and Letter’s South Florida Chapter, and performed chamber recitals in South Florida and New York City with his string quintet, winners of the 2014 Lyric Chamber Society of New York’s Chamber Competition. This summer Mr. Johnson performed with distinguished artists at the Bach Dancing & Dynamite Society Chamber Music Festival in Madison, WI and performed at the Eastern Music Festival with the Eastern Festival Orchestra under Maestro Gerard Schwarz. Mr. Johnson’s principal instructors have been Dr. Melissa Kraut, Tanya Carey, and David Cole; other instructors include Peter Salaff, Alisa Weilerstein, Lynn Harrell, Eleanor Schoenfeld, Mark Kosower, Stephen Geber, Tony Ross, Jean-Michel Fonteneau, Richard Weiss, Parry Karp, Joseph Johnson, Hans Jensen, Ying Quartet, Pro Arte Quartet, Cavani String Quartet, San Francisco Trio, and Jamey Haddad. Mr. Johnson has played under Guillermo Figueroa, Leonard Slatkin, Asher Fisch, Jeffery Myers, Tito Muñoz, John DeMain, Michael Stern, and James Feddeck.